announced details of the 30th Anniversary celebration of its iconic TRANSFORMERS brand today at The American International Toy Fair in New York. 2014 will be “More Than Meets The Eye” for the beloved franchise, as OPTIMUS PRIME and the AUTOBOTS return to theaters in the new movie TRANSFORMERS: AGE OF EXTINCTION this June from Paramount Pictures and director Michael Bay. Hasbro will also celebrate the 30th Anniversary with a variety of new brand experiences including digital gaming, KRE-O construction sets and more. TRANSFORMERS: AGE OF EXTINCTION, hitting theaters in the U.S. on June 27th of this year, marks the fourth big-screen TRANSFORMERS film from director Michael Bay and Paramount Pictures. The new film introduces a new cast of human characters, including Mark Wahlberg as Cade Yeager, and unites a cast of new and returning TRANSFORMERS robot characters, including classic characters OPTIMUS PRIME and BUMBLEBEE and eagerly awaited new additions like GRIMLOCK and the DINOBOTS! In honor of the year-long celebration, Hasbro is releasing a record 73 fan-targeted TRANSFORMERS GENERATIONS figures, featuring classic conversions and the most detailed and accurate action figures of characters from TRANSFORMERS: AGE OF EXTINCTION and throughout the brand’s history. Additionally, in celebration of The 30th Anniversary, a non-movie TRANSFORMERS GENERATIONS line features the launch of a new scale, GENERATIONS LEADER CLASS, with the release of an incredible new JETFIRE figure. And the TRANSFORMERS GENERATIONS DELUXE scale line will include the “Fan Built Bot” WINDBLADE, a new character who was designed with the help of TRANSFORMERS fans around the world! WINDBLADE will be the 30th figure in the “THRILLING 30” program, which features 30 limited-edition TRANSFORMERS figures in celebration of the 30th Anniversary. Hasbro and its partners will also be celebrating the TRANSFORMERS brand’s 30th Anniversary with a “THRILLING 30” program across Hasbro’s toys and programs in publishing and digital gaming from Hasbro’s partners, including the “DARK CYBERTRON” transmedia event! Based on the epic crossover storyline occurring in IDW Publishing’s flagship TRANSFORMERS titles, “DARK CYBERTRON” comics issues are also available packed in with Hasbro’s TRANSFORMERS GENERATIONS Deluxe toy line, and the characters are featured in a special event in the “TRANSFORMERS LEGENDS” mobile game from DeNA Co., Ltd. The next chapter in Activision’s blockbuster TRANSFORMERS console game series will also be released in 2014—TRANSFORMERS: RISE OF THE DARK SPARK, which unites characters from the TRANSFORMERS film universe and the universe from Activision’s popular TRANSFORMERS: FALL OF CYBERTRON game for the first time! Now Creativity Pops off the Page with NEW DOHVINCI art and design kits; an entirely new art experience from the makers of PLAY-DOH brand modeling compound! Featuring an ALL-NEW patent-pending design compound and an innovative Styler tool, the creative experience is highly intuitive, enjoyable, unique and completely engrossing for kids of all ages! Simply pop your favorite color into the Styler and squeeze to easily create your own beautiful 3D art designs. With so many colors and application techniques, no two designs will be the same, and since the design compound sticks to other surfaces such as wood, glass, duct tape, and paper – the creative possibilities are endless! The launch collection includes DOHVINCI room décor kits such as the Style & Store Vanity, the Flower Tower Frame Kit, and the Door Décor Kit. Pick up some replacement DECO POP colors so you can customize designs your own way and then display with pride! Enjoy silly, creative fun with the many personalities and infinite adventures of the beloved MR. 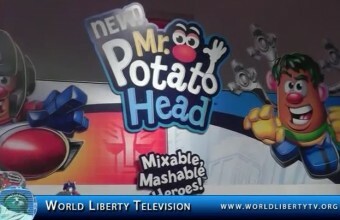 POTATO HEAD cast of characters. Preschoolers will love to save the day with their favorite TRANSFORMERS and MARVEL super hero mash ups! New for 2014, the MR. POTATO HEAD brand combines mini spuds with Mix & Mash play in a two-inch scale featuring everyone’s favorite TRANSFORMERS characters! Whether your little one is spinning, tumbling, or giggling, the new PLAYSKOOL core collection has something to make every little one smile! Perfect for little hands and specifically designed to enhance developmental skills through play, parents and children alike will love this line featuring fun and loveable characters. Long live play! Sunny days are ahead with this colorful collection of Sesame Street toys from the PLAYSKOOL brand. The 2014 line up includes a feature plush based on the popular Elmo the Musical show, a variety of musical instruments featuring favorite characters, and cute water toys for bath time fun. (Ages 18 months – 4 years/Approx. (Ages 12 months & up/Approx. SPIDER-MAN is swinging back into theaters on May 2, 2014, in THE AMAZING SPIDER-MAN 2. The web-slinging super hero will square off against a powerful new villain, ELECTRO. 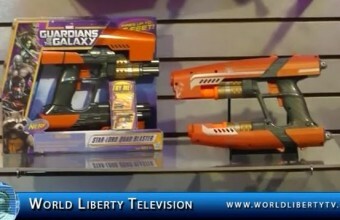 Hasbro captures the sequel’s excitement with its 2014 toy line with the new SPIDER-STRIKE technology, which lets the action figures activate special features on accessories and vehicles. In the role-playing realm, kids can help thwart evil with new ways to sling webs! THE AMAZING SPIDER-MAN 2 MOTORIZED SPIDER FORCE WEB BLASTER is an electronic wrist-mounted blaster which slings foam discs up to 20 feet, letting kids recreate fast, web-slinging SPIDEY fun! 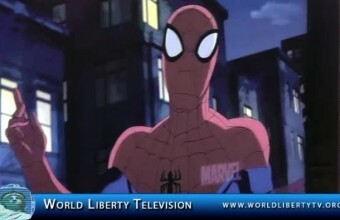 The hit animated series ULTIMATE SPIDER-MAN, airing on Disney XD, finds SPIDEY training with S.H.I.E.L.D. to be the best super hero he can be, and now Hasbro’s ULTIMATE SPIDER-MAN toy line is full of big heroes for kids to get their hands on! Hasbro’s new 2014 ULTIMATE SPIDER-MAN toy line features a big focus on big figures—a line of 12-inch TITAN HEROES figures and vehicles—and the biggest SPIDER-MAN action figure, a 31-inch articulated action figure! The blockbuster MARVEL’S THE AVENGERS movie brought together big-screen Super Heroes IRON MAN, CAPTAIN AMERICA, THOR, HULK and more for the ultimate action spectacular. That excitement has been carried on by the animated series MARVEL’S AVENGERS ASSEMBLE, airing on Disney XD. Hasbro’s new 2014 MARVEL AVENGERS ASSEMBLE toy line features a big focus on big figures—a line of 12-inch TITAN HERO figures and vehicles! MARVEL’S CAPTAIN AMERICA returns to theaters on April 4, 2014 in his second film, CAPTAIN AMERICA: THE WINTER SOLDIER. The storyline of this film picks up where MARVEL’S THE AVENGERS film leaves off, as STEVE ROGERS (a.k.a. CAPTAIN AMERICA) continues his heroic missions with S.H.I.E.L.D. Hasbro will celebrate the world of CAPTAIN AMERICA with a new toy line featuring the beloved Super Soldier, his high-flying ally, the FALCON, and new villain, THE WINTER SOLDIER. MARVEL’S GUARDIANS OF THE GALAXY is a brand new, space-faring adventure blasting off in theaters on August 1, 2014 and expanding the boundaries of the MARVEL STUDIOS cinematic universe further than ever before. The film follows a diverse team of five aliens, led by PETER QUILL of Earth (a.k.a. STAR LORD) and featuring GAMORA, DRAX THE DESTROYER, GROOT and the wisecracking, genetically modified ROCKET RACCOON. Together, these self-described Guardians of the Galaxy will team up to defeat cosmic evil that threatens the entire universe. Hasbro will celebrate the world of GUARDIANS OF THE GALAXY with a new toy line featuring innovative new electronic figures, role-play items and a galaxy’s worth of incredible spaceships and aliens. Hasbro Inc. is an American multinational toy and board game company. It is one of the largest toy makers in the world. The corporate headquarters is located in Pawtucket, Rhode Island. The majority of its products are manufactured in East Asia. In the mid-1980s, Hasbro moved past Mattel to become the world’s largest toy company. Hasbro then moved to outsell Mattel’s Barbie in the fashion doll market with the 1986 introduction of Jem, a record producer/rock musician dual identity fashion doll. Initially posting strong sales, Jem plummeted and was withdrawn from the market in 1987. Hasbro followed up in 1988 with Maxie, a Barbie-sized blonde doll, so Barbie clothing and accessories would fit. Maxie lasted until 1990. Hasbro was named by Fortune magazine as one of the top 100 companies to work for in 2013, citing that the “company enhanced its vacation policy by giving new employees three weeks off in their first year instead of having to wait five years. 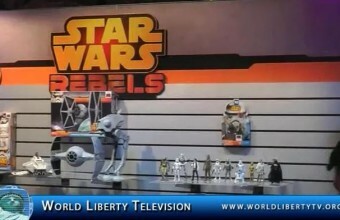 World Liberty TV, Gaming and Toy Review team was on hand at the Hasbro Toy Showroom Presentations ,See some of the New Products they are launching in 2014. Mattel, Inc. is an American toy manufacturing company founded in 1945 with headquarters in El Segundo, California. 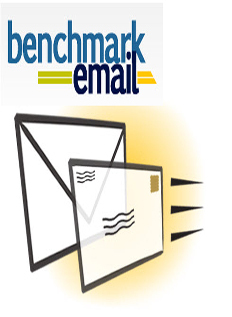 In 2010, it ranked #387 on the Fortune 500. The products and brands it produces include Fisher-Price, Barbie dolls, Monster High dolls, Hot Wheels and Matchbox toys, Masters of the Universe, American Girl dolls, board games, WWE Toys, and early-1980s video game systems. 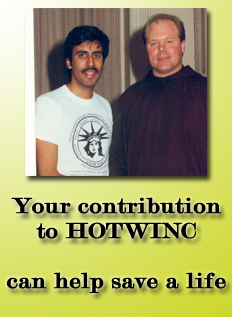 The company was founded in 1945 by Harold “Matt” Matson and Elliot Handler. Handler’s wife, Ruth Handler, later became president, and she is credited with establishing the Barbie product line for the company in 1959.After the release of the Barbie doll, Mattel revolutionized the toy industry with its talking dolls and toys. Major successes in the 1960s with the talking Chatty Cathy doll in 1960 and See ‘N Say toys in 1965, and the introduction of the Hot Wheels line in 1968 moved Mattel to its position as the number one toymaker in America. In 1971, Mattel purchased the Ringling Bros. Barnum & Bailey Circus for 40 million dollars from Irvin Feld. The Feld family bought the circus back in 1982. 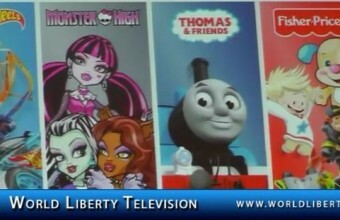 World Liberty TV, was on hand for the Mattel’s Press Conference at the 111th Annual American International Toy Fair at New York Javit Center, see some of the New Toys that were released by Mattel in our World Liberty TV, Gaming and Toy Channel. 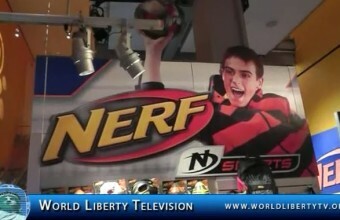 World Liberty TV: Games ,Toy and Toy Review Team was on hand ,to cover the newest Toys Debuting at the 111th Annual American International Toy Fair at New York Javit Center , see the new Toys and Games and also listen to the vendors and exhibitors ,who are behind these great brands in our Exclusive one on one interviews. Grammy Award-winning artist Alicia Keys attended the 111th American International Toy Fair on Sunday, February 16th, 2014 to cut the ceremonial ribbon and take part in a press conference following the opening ceremony. The press conference included a question and answer session and introduce the new interactive storytelling app “Mookey,” the latest extension of her magical children’s property The Journals of Mama Mae & LeeLee. Mama Mae, voiced by Della Reese, is a grandmother who guides her granddaughter LeeLee through each vibrantly illustrated story. Through the strength of her personality, Mama Mae and her stories inspire and enlighten children of all ages. The important and special bond between grandparents and their little loved ones is emphasized in this family oriented app. “Mookey” is the newest installment in the Mama Mae series, and this particular story touches on self-acceptance and bullying in a meaningful way. In the story, children will be introduced to Bali, an imaginative boy, his not-so-imaginary-friend, Mookey and his pushy cousin, Ankita. 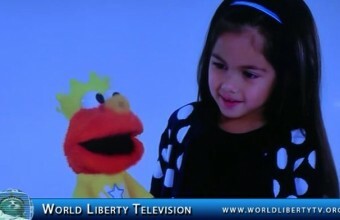 As they follow along, children will learn about courage, acceptance, and forgiveness in the face of bullying. 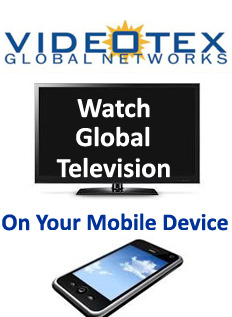 The app has the ability to facilitate conversation on the issue among families, children, as well as teachers. Thought-provoking and empowering, the Mookey” app is a tool that uses creative play to help youth positively express themselves through a range of interactive activities. New York City was transformed into a magical playground this morning when hundreds of thousands of innovative playthings were unveiled at the opening of the 111th American International Toy Fair – the largest toy marketplace ever held in the Western Hemisphere – which took place on February 16-19, 2014. More than 30,000 play professionals from 100 countries were expected at Toy Fair 2014 to explore a record-breaking 412,000 net square feet of exhibit space at the Jacob K. Javits Convention Center. Upwards of 1,150 toy companies – 285 of which are exhibiting for the very first time – are slated to unveil the year’s hottest trends in toys, games and youth entertainment products in front of an estimated 14,000 global buyers. Toy Fair opened at 10 a.m. with a ribbon-cutting ceremony featuring GRAMMY-winning artist Alicia Keys, co-creator of the interactive children’s app, The Journals of Mama Mae & LeeLee. Immediately following the show opener, trade guests surged the exhibit hall and kicked off four, jam-packed days of trend-spotting, networking and order-writing. 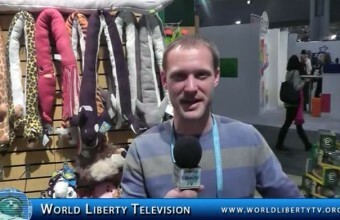 Playthings ordered at Toy Fair will be appearing in toy stores through the holiday shopping season. Providing media and trade guests with the inside scoop on which toys will top wish lists this year, TIA experts revealed the biggest trends of 2014 at the annual “Toy Trends Tea” on Monday, February 17. “Larger than life” toys … high-tech RC vehicles …“frightfully fun” playthings … and games that teach important “STEAM” concepts are just a few examples of the trending playthings that will be covered at the talk. World-class educational seminars were held throughout the show included licensing-focused seminars; global trade and market expansion research presentations; workshops for inventors and designers; and toy safety and compliance forums for manufacturers and retailers. New for Toy Fair 2014 was a free e-tool that extends the marketplace beyond its four-day run, ShopToyFair365, enabling buyers and sellers to connect and conduct business online before, during and after the show. 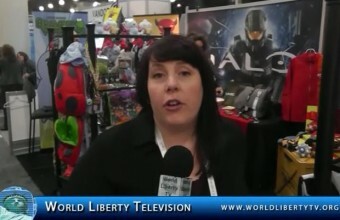 World Liberty TV, Toy and Gaming team was on hand to cover the show as well as interview some of the vendors debuting their new Toys, see what they had to say.